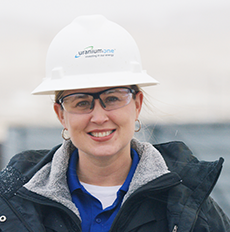 At all of its operations, Uranium One works hard to ensure that it has the trust and support of the communities in which it operates. Strong and enduring stakeholder and community relationships are secured through a wide variety of corporate social responsibility (CSR) initiatives and programs developed in consultation with local communities, non-governmental organizations, government authorities and other stakeholders. Areas of CSR focus reflect the specific needs of the communities in which Uranium One operates. Generally, the company seeks to promote and support community development initiatives to improve local education and health care funding and resources. This includes: recruitment and training programs to maximize the employment and skills development of local residents; business development initiatives to promote the availability and quality of local service and material providers; infrastructure projects to improve local roads; and equipping and improving schools and health care clinics and environmental initiatives to protect, enhance and conserve local ecosystems, environments and wildlife resources. In Kazakhstan, the company’s joint ventures are subject to social obligation commitments under their subsoil use contracts. These include funding of community services, including medical services, education, sports, health promotion and other local services, as well as the hiring of local Kazakhstan employees and contractors and purchasing Kazakhstan-origin equipment and materials. Typically, these programs are developed in close collaboration with nearby communities and local governmental authorities. Among these projects are medical clinics, the construction of pipes to provide communities with potable water, support for local cultural and sports infrastructure and maintenance and repair of schools in settlements and villages sponsored by the joint ventures. The Karatau joint venture, for example, supports a variety of community development activities at two villages located close to its mine site, including programs to support war veterans, to provide low-income families and single mothers with basic food, supplies and coal for the winter, and to provide new street lighting in the villages. Karatau employees have also volunteered time to undertake large-scale tree planting activities in areas around sponsored villages. Karatau has developed a particularly close relationship with local schools, providing school uniforms, equipping computer laboratories and funding full scholarships for post-secondary study. Most of the parents of the children attending these schools work in the uranium industry – many at Karatau itself – and many of the school children who benefit from the educational support and the scholarships provided by Karatau return to work in the uranium industry in South Kazakhstan. Uranium One, its joint venture partner, Kazatomprom, and the South Kazakhstan local government are party to a 2011 Memorandum of Cooperation, designed to help advance the development of South Kazakhstan. Within that framework, the company has provided funding for the completion of the construction of a secondary school in the village of Zhartytobe and for major repairs of housing in Shymkent. The company has also contributed to the construction of a vocational school in Shymkent. While the Mkuju River Project is in the preparatory stage, Uranium One and Mantra Tanzania have focused on CSR activities from the earliest stages of the Project. In addition to implementing a sophisticated and innovative anti-poaching program, Uranium One has given priority to CSR initiatives in the areas of education, health and sanitation and agricultural development. With respect to education and training, Mantra has sponsored students selected from the local Namtumbo District in a training program jointly managed by the Chamber of Energy and Minerals at a technical college in Moshi in northern Tanzania. Mantra Tanzania is also currently working to advance a number of local procurement initiatives. These include plans to source poultry and other agricultural products from local farmers and businesses, including through the provision of start-up capital. Mantra Tanzania has also undertaken arrangements with a local farmers association to secure acreage for growing produce to supply the project and is working with a village youth group to establish nurseries to cultivate tree seedlings for rehabilitation work at the project. Mantra Tanzania has established a community relations office at Namtumbo to facilitate consultation, discussion and information sharing with the local community. Mantra holds regular project briefings with regional and district officials at Songea and Namtumbo. Mantra has also partnered with other leading philanthropic organizations, such as Operation Smile and READ International, to assist in their local community initiatives. Mantra’s CSR initiatives have been widely recognized in Tanzania. Mantra won a Presidential Corporate Social Responsibility and Empowerment award as the best performing mineral exploration company in Tanzania in 2015 in the areas of education, health and employment. The Mkuju River Project site borders on the Selous Game Reserve – a UNESCO World Heritage Site the size of Switzerland and one of the largest and most important game reserves in Africa. Sadly, the Selous has also been the focus of significant elephant poaching in recent years. A recent census determined that the elephant population in the Selous has plummeted 66 percent, from 39,000 to just 13,000, in the last four years. To help address this crisis, Uranium One, in cooperation with the Government of Tanzania, has launched one of the most sophisticated anti-poaching programs in Africa. The program, which employs advanced tactical training and technologies, has four core components: highly trained elite scouts (trained and equipped by Mantra), regular anti-poaching patrols, cutting-edge technology-based aerial surveillance and informant networks embedded in the local communities.